If you would like to get in contact with us, either fill in the form below or contact us on the details provided: Parish Priest Fr. Michael Dever tel. 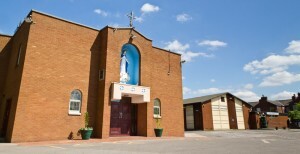 0161 224 1498, St. Mary’s Parish Office telephone Parish Secretary on 0161 248 8836 Monday, Tuesday, Thursday & Friday between 8.30am – 1.30pm.